Man, does it feel good to be back. This summer has been a whirlwind. I ended the 2015-2016 school year with the joy, pride, and honor of watching the students I started out teaching graduate from high school. From there, I spent a few weeks getting caught up on things around my home, and then I began the daunting task of looking for and starting a whole new, non-education related career. The Lord provided grandly and within less than a month of ending the school year I started a whole new job. It was like having a fire-hydrant go off in my face but it has been so worth it and so far I have not stopped loving my new job. With the new job came quite a bit of shifting schedules…I started out working M-F, 8:30-5:30, but just in the past few weeks I have begun a new full-time, 4-days-on, 4-days-off schedule, which I absolutely love. In my 4 days off, I typically try to catch up on things I both need and want to do…which is why I am finally able to start back blogging today. In all of that, though, I’ve also started getting back in to doing my Bible study more regularly. It is definitely something I was lacking during my teaching career which I feel like had a huge & negative impact on my teaching. But part of the career shift was meant to give me time to heal & recover from the burnout. It has been such a blessing to do so & I am so grateful for the Lord for the opportunity He has provided me. word…something began to nag at my heart & mind…it was the aspect of prayer. All sorts of things have popped up…little flags from God to get my attention…but I kept putting it off. It is something I feel like the American church, this country, and I myself need more of. It’s something I have been thinking more & more about but have been avoiding out of fear. Fear? You might ask…but yeah, fear. Fear that my prayers won’t be answered, fear of the uncomfortable, fear of what God might ask & empower me to do through powerful prayer. Fear of what others (Christians & non-Christians) will think of me when I share & act on what God asks me to do. But over the past week the nagging in my heart has become overwhelming. It’s incredible, too, to see that God has even acknowledged my fear and provided ways through Bible study & group studies with my Sunday school to teach me more about prayer, the power & characteristics of His true Holy Spirit, not just what “man” defines as the Holy Spirit, and also the enboldening of my faith in Him to grow willing & able to listen & follow His direction. Honestly, I find it both terrifying & comforting. I read biographies of people of the faith like George Muller, who spent hours daily praying for guidance in God’s will, the faith to follow it, & the provision to carry it out. His story is insane. He started an orphanage with nothing to care for & teach the Gospel to the orphans of England…and God provided tenfold. His testimony of never asking people to provide for their needs but only telling God, then having those neeeds met abundantly…to the point he was able to build multiple orphanages to house & care for thousands of orphans. It’s amazing. That is the comforting aspect, too, knowing that God will provide our needs for whatever He will ask us to do. He won’t leave us stranded or trying to provide for His will…He will do it for us. The terrifying aspect is not knowing God’s will & what He might ask me to do…but that could be exciting, too, and a true faith builder. Prayer scares me because of the faith aspect, but also becausee there are so many different man-made viewpoints on how to do it properly. But just in reading the examples in the Bible & the testimonies of people like Muller, it is so wonderful. 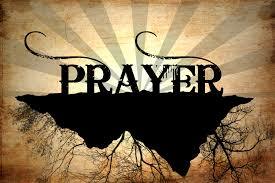 Prayer requires seeking God’s will, the faith & willingness to follow (no matter what it is), & perseverance. There were times that Muller prayed for over a year for something specific before God answered the prayer & answered in abundance. And when a prayer was answered, he didn’t stop praying, he moved on to the next thing…but always He sought God’s will in the matters before him through Bible-reading & more prayer. He never took action without seeking God’s will first. That is an area I struggle with- people say, “as long as you’re doing it to glorify God, He’ll take care of you” but I no longer believe that is true. If we take action, even with good intention, without first seeking God’s will, we may be walking down a path that may lead to failure. I am excited to see what God will do in & through me as I grow in the journey and I can’t wait to share the incredible testimonies to God’s glory with you. “Reflection Questions: Do my prayers sound like an employee asking for a raise? How should my relationship with God be different from that of an employee?” – Reflection Question from the YouVersion Oswald Chambers Prayer study.